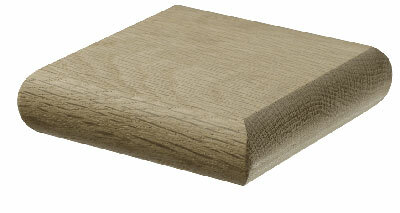 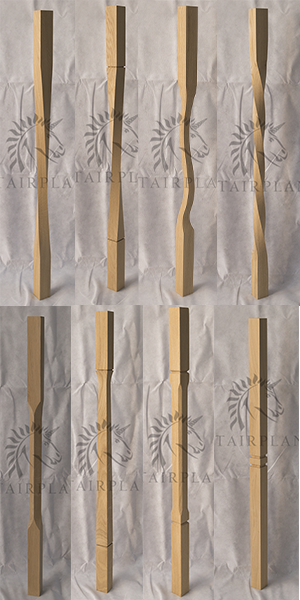 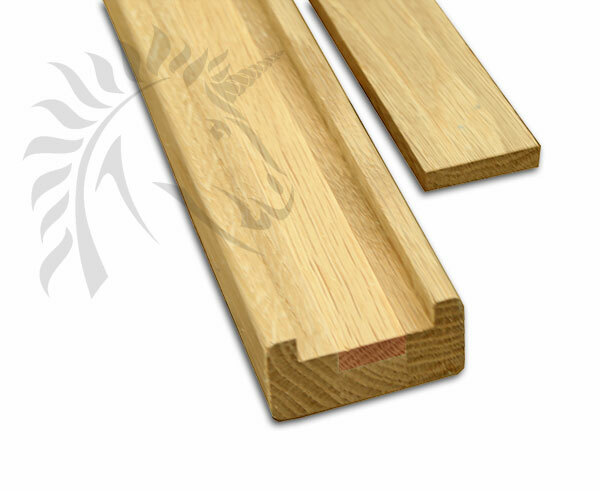 American White Oak 41mm Fillet section. 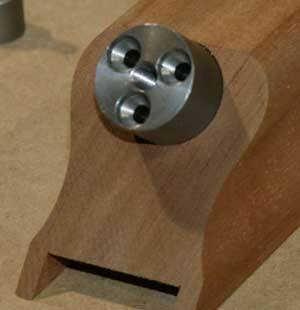 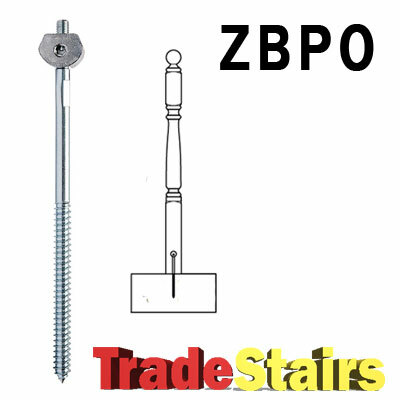 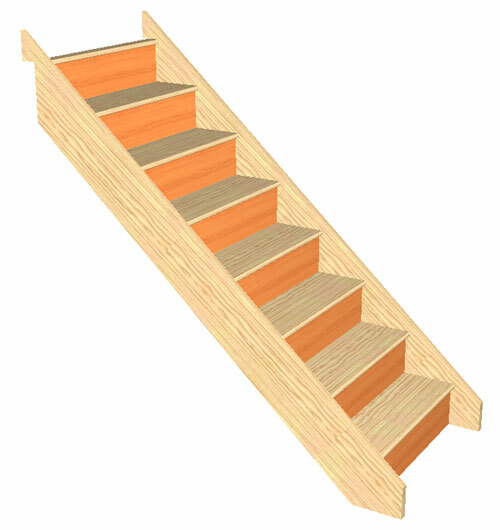 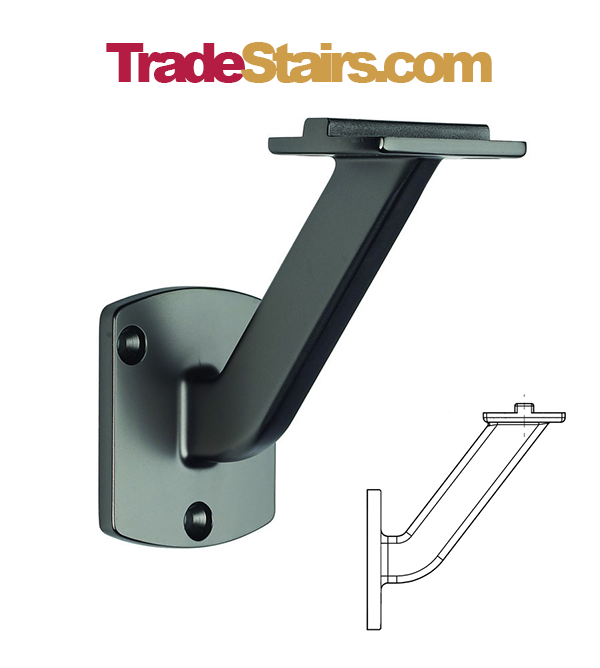 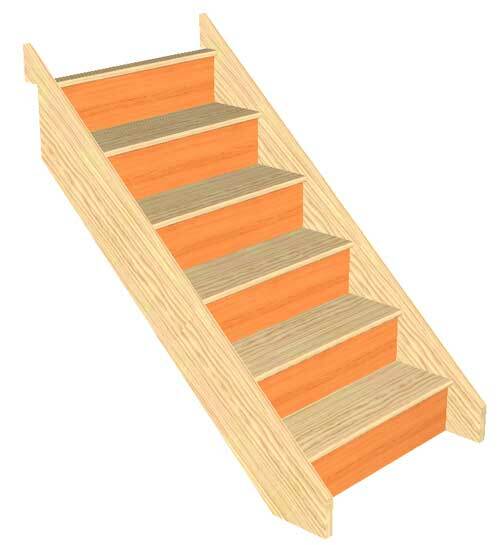 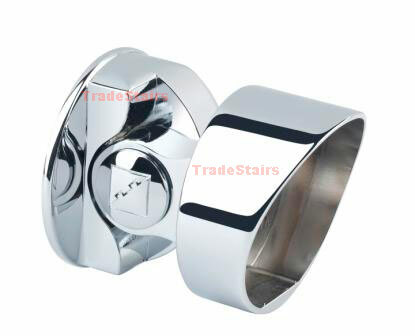 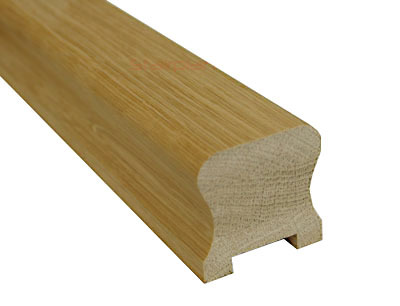 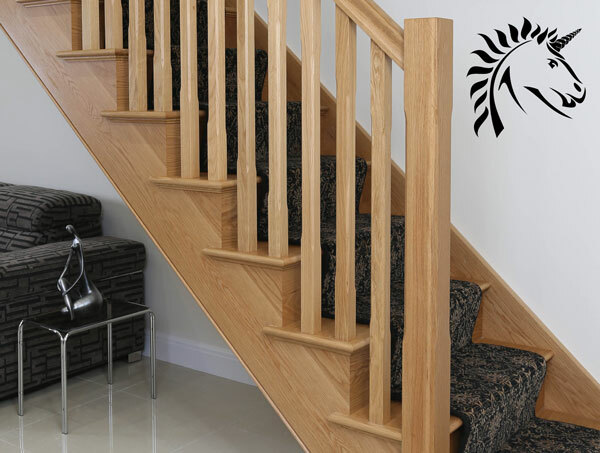 Note- Fillets are supplied with our handrails unless otherwise stated. 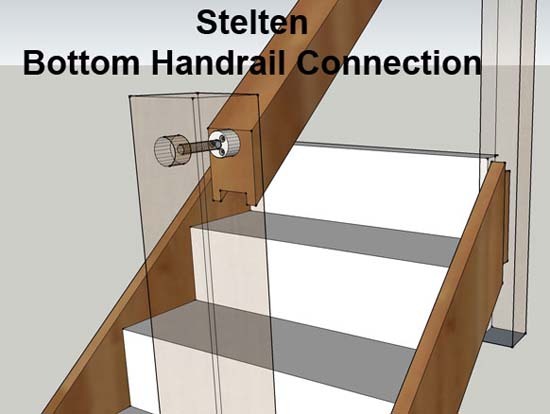 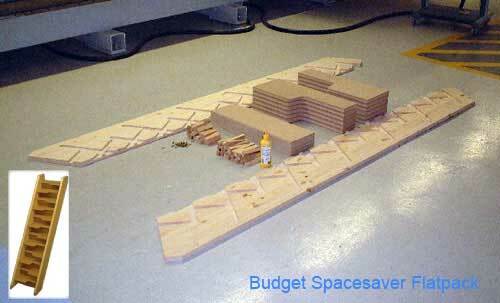 Includes Ungrooved Handrail & Baserail Turn. 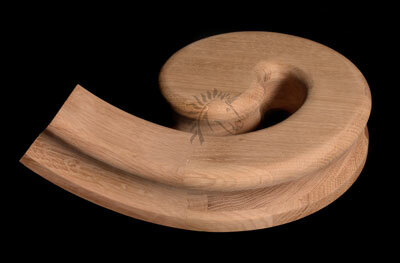 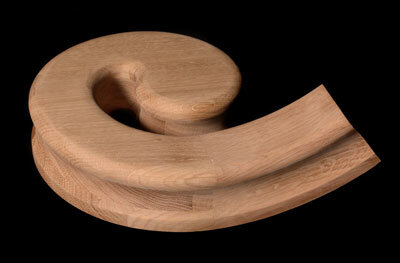 White Oak Left Hand Side Volute handrail Fitting. 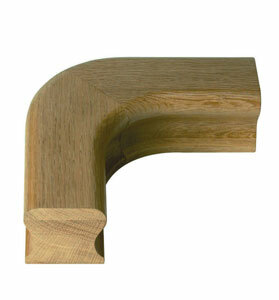 White Oak Right Hand Side Volute handrail Fitting. 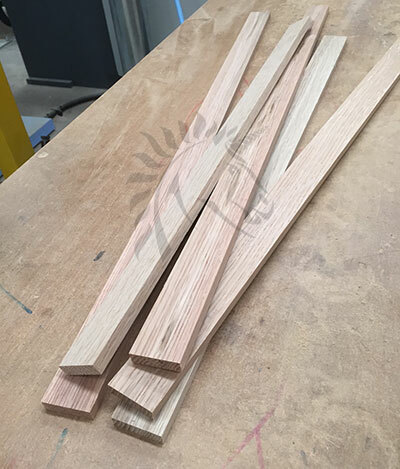 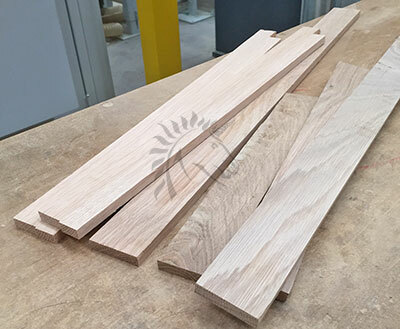 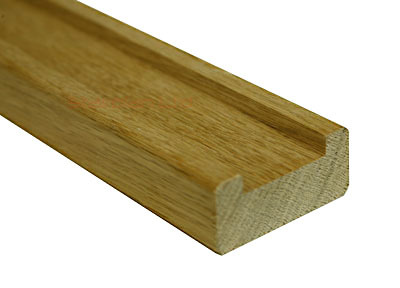 American White Oak 32mm Fillet section. 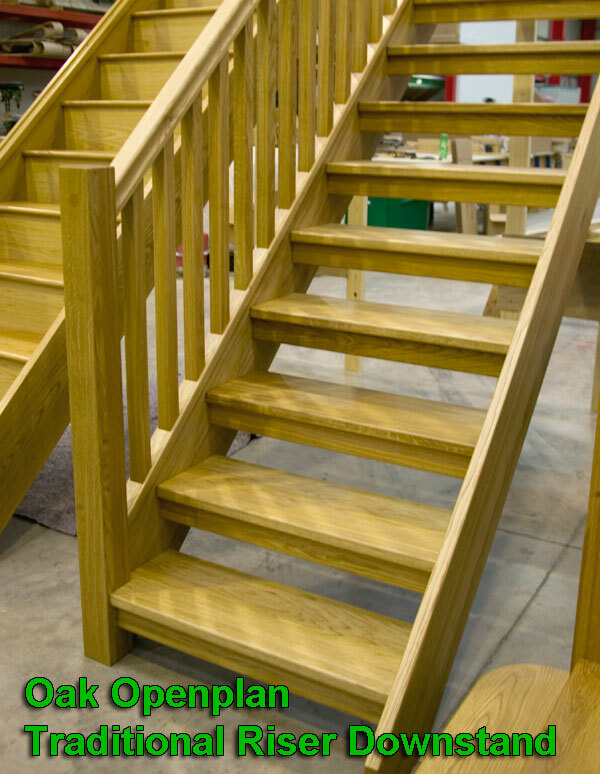 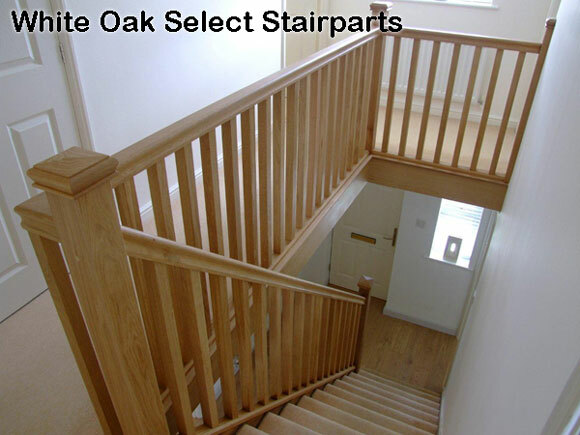 Shown here a recent stair conversion with the Select Oak Stair parts, 41mm Stop chamfered balusters.